With the advent of Ramadan, there’s joyful anticipation mixed with anxiety in the 1.6 billion strong Muslim ummah across the globe. The anxiety stems out of the intention to do our utmost in prayer and be our best selves in this sacred month. But it’s also the worry that with our worldly responsibilities, we might lack the time or stamina to reap as much benefit from this month as is humanly possible. We see families preparing themselves by stocking up on groceries so that more time can be spent in observing our fasts with diligence towards ibadah, both obligatory and voluntary. As far as family members are concerned, the person who generally contributes most in the running of the household in terms of preparing suhoor and futoor is the woman of the house. She can be the wife, the sister or the daughter. And her work doesn’t stop there. The additional work of Ramadan is stacked on top of her routine work, be it her career if she has a job or taking care of the children and running the house if she’s a homemaker. In her struggle to be the best provider for her family, what a woman may lose out on unknowingly, is her connection with Allah. While she fasts and performs all her obligatory prayers, she might feel helpless and cut short her nawafil and study of the Quran to tend to the children or put out other figurative fires around the house. All of us realize the worth of our worship in this month and so we gladly and determinedly set ourselves to please Allah so that He may accept our prayers. It has been mentioned in authentic sources how our beloved Messenger ﷺ would eat a handful of dates for suhoor, and if he didn’t have dates, he’d have water. The same way, he broke his fast as well when it was time. There was no concept of elaborate meals and drinks in suhoor and futoor that we observe nowadays. The purpose of fasting is not just to keep away from food and drink. It is to acquire taqwa and to recognise and empathise with the less fortunate who don’t have the luxury of three meals all-year round. It is to acquire control over your desires and keep them in check by will alone. 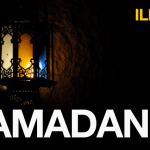 Ramadan is a training camp; what we strive for in this month should merge with our behaviour for the rest of the year. “Three persons whose dua is never rejected are: the fasting person until he breaks his fast (in another narration, when he breaks fast), the just ruler and the one who is oppressed.” – Ahmad, at-Tirmidhi. Think of all the precious moments lost while we are busy in our worldly affairs. “Whoever fasts Ramadan with faith, seeking Allah’s reward, will be forgiven all his past sins. Whoever observes Lailatul Qadr in prayer, with faith, seeking Allah’s reward, will be forgiven all his past sins.” – Sahih Bukhari 1910. If for all that, Allah asks that we focus on Him more this month, that is indeed a very small price to pay, isn’t it? It goes without saying that whether it is taking care of your home, your spouse or bringing up righteous kids, all of these are feats that guarantee Allah’s favour and if a woman is unable to go the extra mile owing to her duties, she should take heart in the fact that she’ll be rewarded nonetheless as Allah is Al-Alim (All-Knowing) and is aware of her struggle. To all the men, try and make do with simple suhoor and futoor this month. Don’t put undue pressure on the women in your household, rather help them with their chores. It’s Sunnah. And remember, they too are fasting. And to all the ladies, cut back on the housework so that you can partake of this month’s blessings to their fullest. Insha’Allah when the month has passed, you’ll be sufficed with the realization that you accomplished more this Ramadan than the previous one and isn’t that what this month is for?